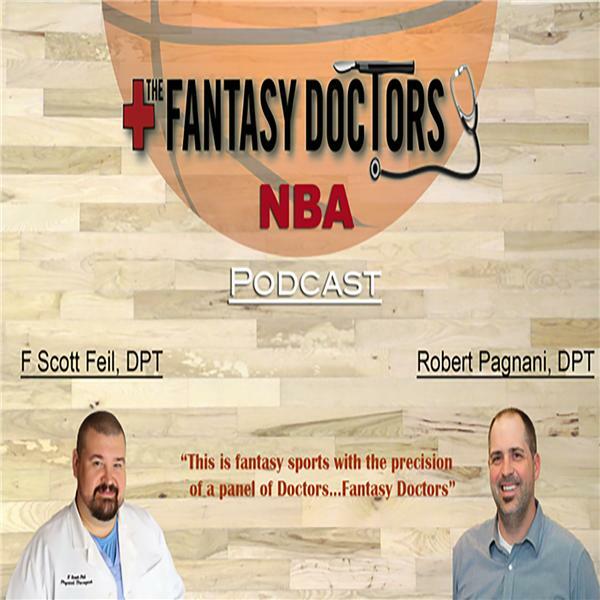 The Fantasy Doctors NBA Podcast is in informational podcast hosted by doctors of physical therapy-Dr. F Scott Feil and Dr. Robert Pagnani. Dr F Scott Feil and Dr Robert Pagnani close out the season with special guest Executive producer Nathan Navas to talk about the Jusef Jurkic gruesome injury and more as well as their finals picks and pick for MVP. Listen in as Dr. Selene Parekh and Dr. Robert Pagnani discuss all the latest NBA injuries and the resulting fantasy implications. Also, get their picks of the week!! Dr F Scott Feil and Executive Producer Nathan Navas review the key injuries in this weeks NBA Injury Podcast for The Fantasy Doctors. Listen in as Drs F. Scott Feil and Robert Pagnani discuss all of the compelling injuries around the league and give their picks of the week for fantasy!